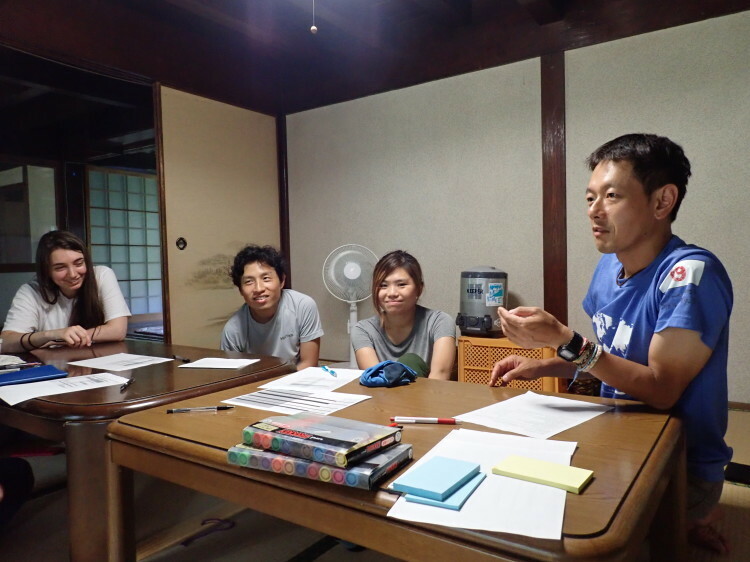 The project started on August 24th, we met at Hainuzuka station with Yasu and Webber. Then met Riki, Tsubasa and Nagatsu in Egao no mori. Obviously, at first everything was new and I felt a little bit awkward. There were a lot of new people and things that you have to deal with. 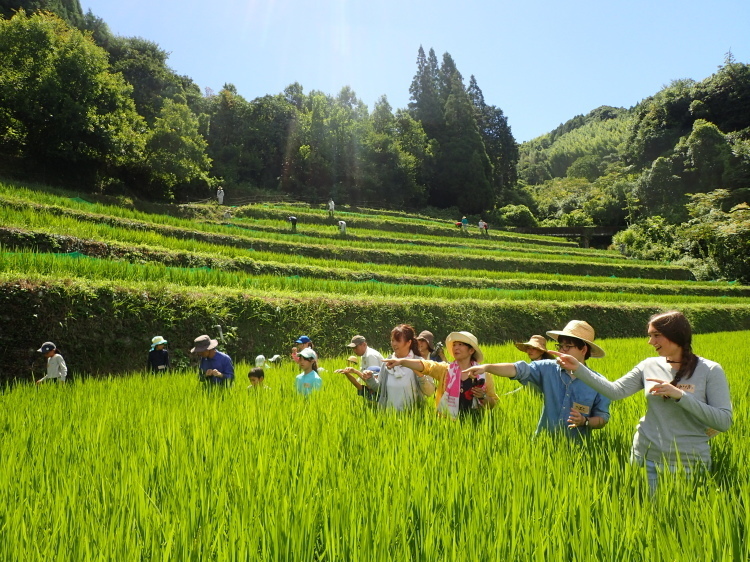 On the second day we had an orientation - we learned about Sansonjuku and local farming and art events that would take place in here. And a little bit about each other. 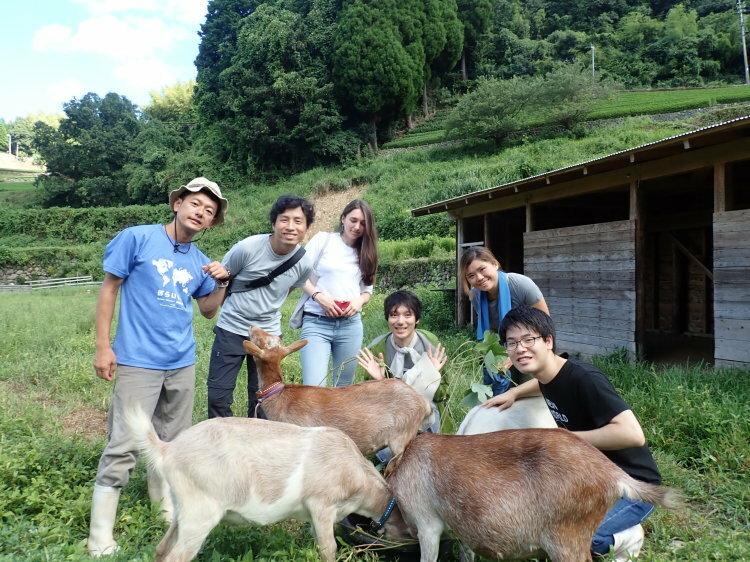 Met our cute fellow volunteers - 山羊の方 - also known as Grass cutting team. 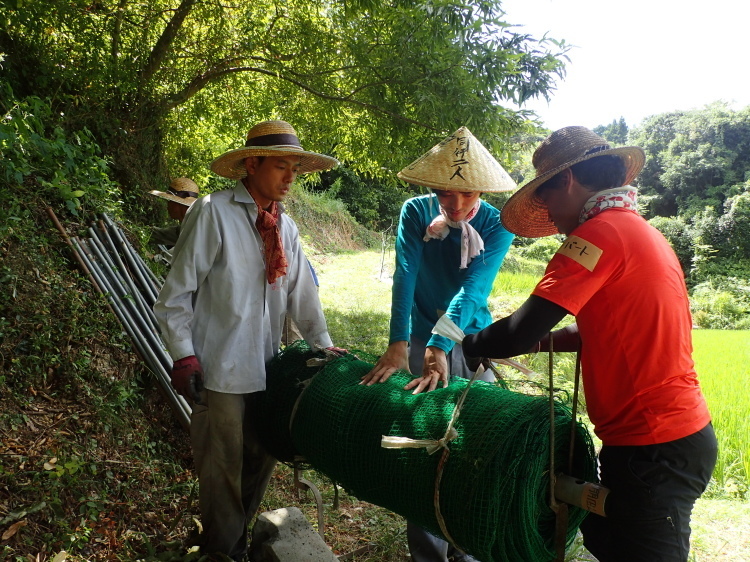 On the next day there was an event of pulling ducks out of the rice paddies. It was very hot and a little bit tiresome, but I really enjoyed it. 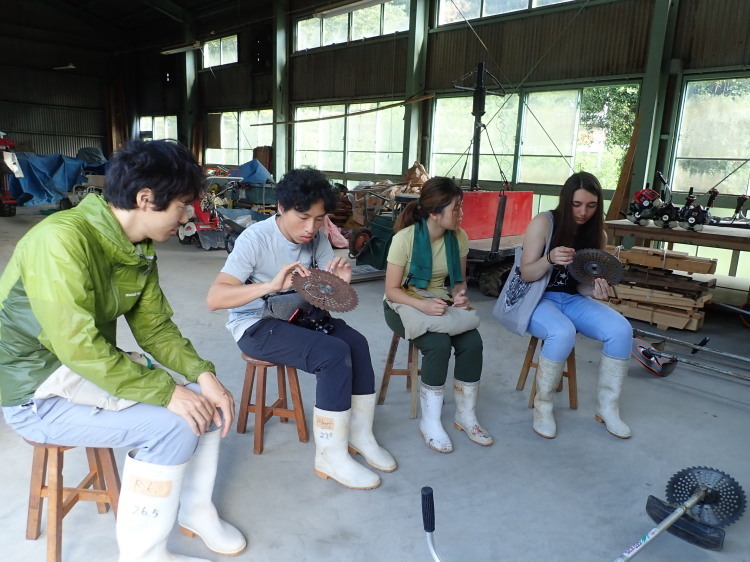 Later we had a lesson on a grass cutter and a welcome party. Still worrying about cutting my leg out, but we will see how it's going. For the party I prepared acouple of Russian dishes and sweets. I really appreciate the warm welcome we got in here. Local people were very nice to us too, even though I hardly speak any Japanese we managed to have a talk. So,here's what happened in our first "week". Finally I got used to the new place, new people. Really liked our team, it was sad to see some of them leave.